To be honest, I always thought that I would get aftermarket side skirts, which warranted me to forgo the running boards. The running boards are those steps on the side of the vehicle that people use to get inside. They are stylish and are functional. Only recently have I appreciated them more than I have before. I honestly thought that I would find running boards on previas, but that is not the case. I saw a pair at the junkyard, but how they had the previa set up rims, one running board was damaged, so I didn't even think of getting one. Now that I am looking for a set, it blows my mind that these are not as common as I thought. So the goal is to find a set. If I can find a cool box, I'm sure I can find a set somewhere! I can't believe I didn't post this up. I saw a set in Modesto PnP (1.5hrs away) and I went out that way to get them. Not perfect, but beggars can't be choosers. 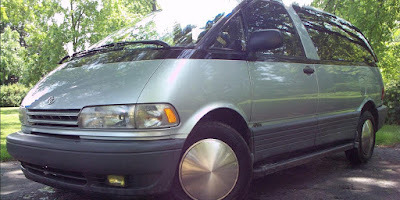 Hey that's my Previa with the moon caps!! What!!! 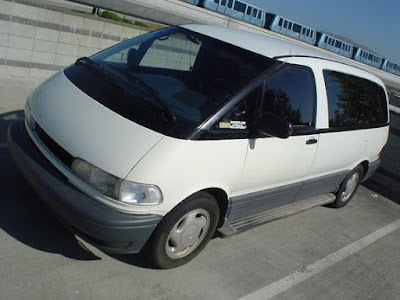 I just googled images to get the running boards picture.